Tabatha, is better off than I am! I hope you enjoy the book Tabatha – Congratulations! My Wonderland blocks are very simple! 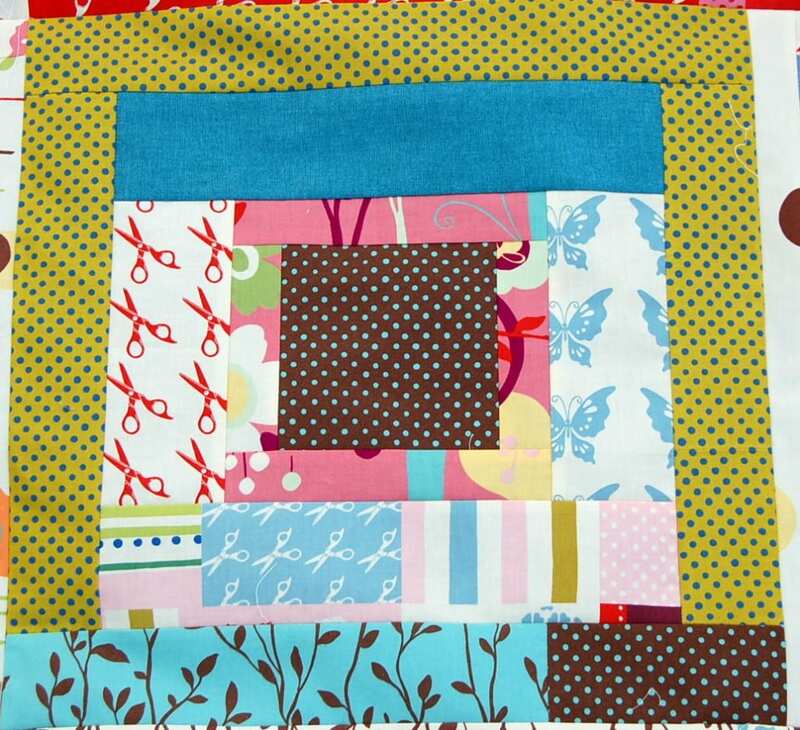 I started with a charm pack, honey bun and jelly roll, 2 half yard cuts, and some miscellaneous scraps. As I was sewing I added Crossweaves from a bundle I had stashed, and Kona/Bella solids that worked within the palette (which is varied!). 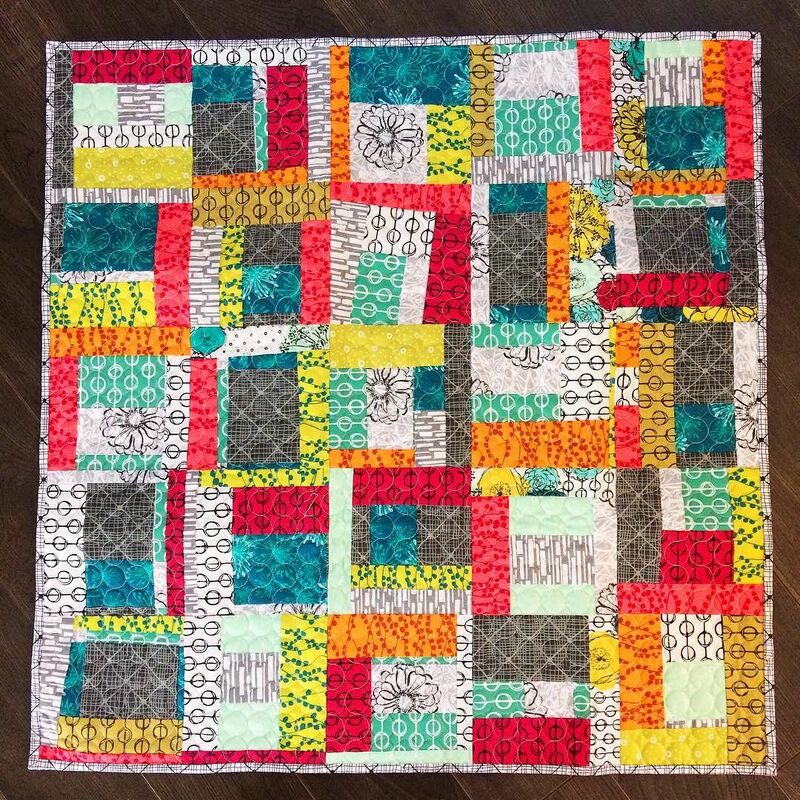 I started with a charm in the center, and half the blocks received a 1 1/2″ honey bun strip, and the other half a 2 1/2″ jelly roll strip. I did two sides, then pressed and trimmed as necessary, and added the other two sides. I then decided to add a 3″ strip from the scraps, and yardage. I pieced the extra bits together in some spots to add character, and the four sides don’t necessarily match! Just went with what I liked as I worked. Finally the blocks that started with a honey bun strip, were finished with a jelly roll strip, and scraps to complete. And vice versa, the blocks that started with a jelly roll strip, were finished with a honey bun strip, plus scraps. 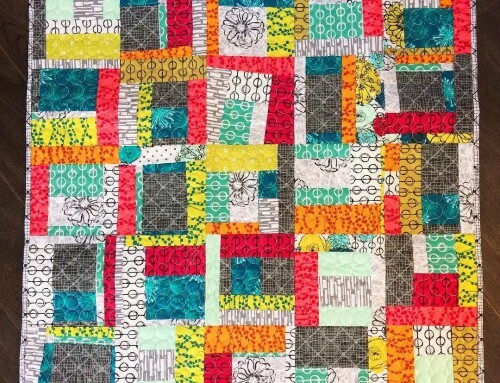 The blocks measure 15 1/2″ finished in the quilt top. 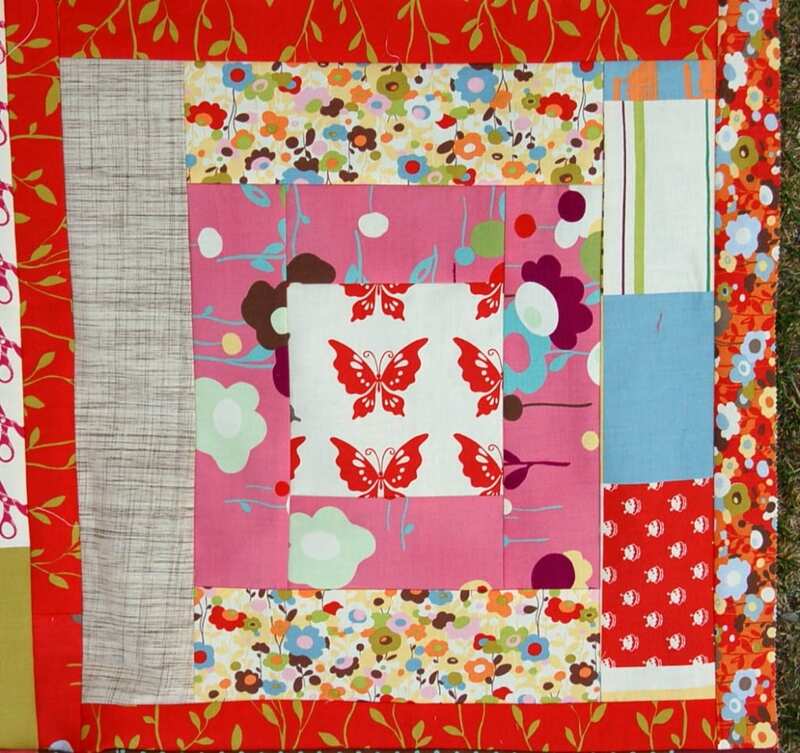 And the quilt measures 93″ square. 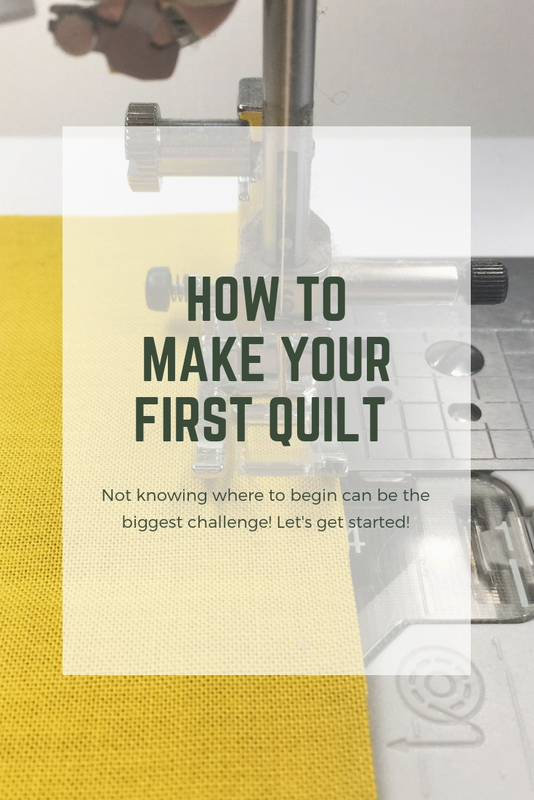 This quilt was all about making the most of the bits of fabric that I did have! Now I can’t wait to make hexies with the rest of it! Any questions? I’ll answer in the comments if you do! Thanks for sharing what you do with a honey bun and how you built your blocks. It’s such an interesting process. 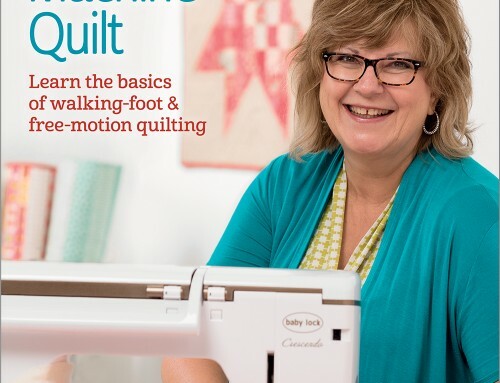 Great quilt and fabrics. I love the intentional randomness of it all. Great quilt. It looks fab, thanks for sharing how u did it. Improvising is such FUN! Thank you for telling us about the process of making the blocks; it is always great to find new uses for scraps. So lovely!! I was wondering how much you had leftover? Just little bits or a lot? Thanks! Thank you for this. I love this quilt. What a fantastic way to use charm squares. oh wow! I really really like the way it turned out ;o) Great job! I love it, I love it, I love it!! 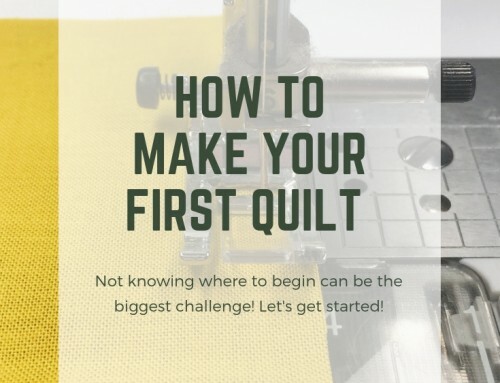 One more to add to the list of “to do quilts”, however, it is one I’m thinking my nearly 12 year old daughter would love to try herself! Thanks for the inspiration! Maureen. I love your Wonderland quilt. I have a layer cake of it that needs to be used up. I am going to poke around and see if I can purchase a honeybun or something from somewhere. Oh and Bonnie sent me. Just dropping by to visit! I’m a fan of Bonnie’s & will now add your blog to my roll. I love your instructions. So scrappy and economical too. Are the centers the same measurement? 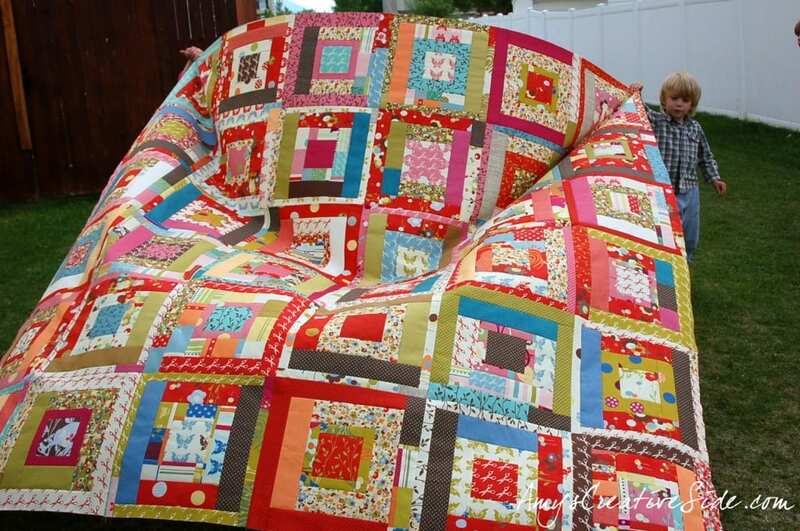 I am so excited to make this whimsical quilt the scrappy look gives a random beauty of creativeness that I just love. By the way, I never throw anything away saving huge boxes of scraps for a project like Wonderland.